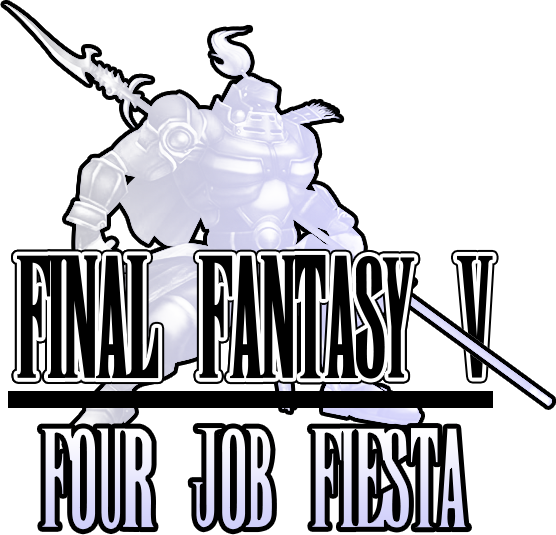 1 PM EST on Sunday June 17, 2018 our lovely players will begin a broadcasted marathon play through of Final Fantasy V using the classes selected by you, the players, viewers of and donors to the Fiesta! When does The Run start? Wonderful people will be participating in The Run this year. Here are their Twitch channels. If the total donations are hit before The Run begins, the players must do the following. All players must play every piano and flex each time. All players must do all Gilgamesh fights. All players must defeat Necrophobe. All players must collect all four tablets and all twelve legendary weapons. All players must defeate Shinryu. All players must defeate Omega. How long is the job voting open? Voting is open until June 8, 2018 23:59. This is to allow the players to plan their strategies for The Run.